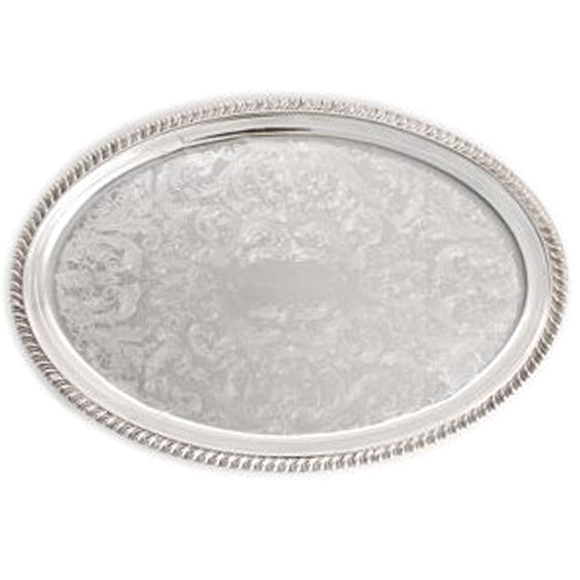 Whether you are setting out a plate of hors d'oeuvres or offering champagne flutes to your guests, this tray will add a regal touch to your event. The oval shape makes it easy to spread out your offerings, and the filigree pattern on the inside of the tray heightens its appeal. The antique design is ideal for a garden wedding or any special indoor celebration.